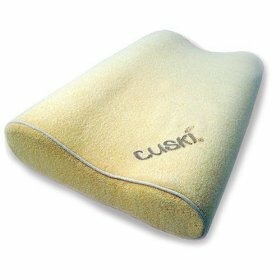 Cuski has announced its first child-friendly orthopaedic pillow, designed to provide essential neck support for a growing child and thus promoting a healthy body and a good night’s sleep for everyone. This pillow has been created especially to meet the needs of young children from ages 2 to 10 years old. It’s made from heat responsive viscos-elastic memory foam which has been anatomically designed to self-adjust to relieve pressure points, mould to accommodate growing shoulders, keep the spine correctly aligned, and reduce tossing and turning. It costs £35 and is fully machine washable.